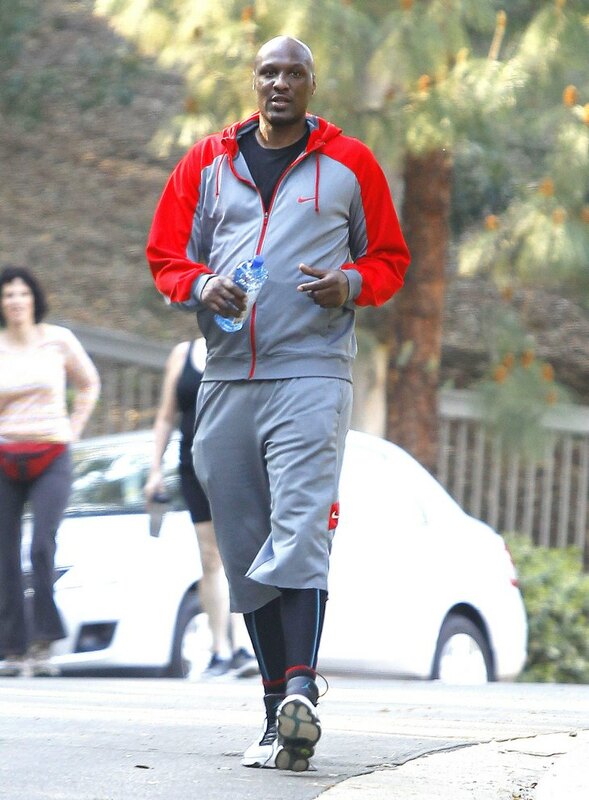 Is Lamar Odom returning to Keeping Up With The Kardashians? Not a chance! Khloe Kardashian’s estranged husband was reportedly approached by Kris Jenner and invited to return to her family’s reality TV show on E! – however Lamar Odom informed her there was no way in hell he was coming back on the show, and he even turned down a huge paycheck. Lamar Odom and Khloe Kardashian are still talking, and have been “getting a divorce” for over two years now. Recently on an episode of Keeping Up With The Kardashians Kim caught Khloe on the phone flirting with her estranged husband. So, it makes sense that Kris Jenner wanted to capitalize on her daughter’s troubled marriage and tried to drag Lamar back on to the show. Especially since they have to come up with some major drama to complete with Caitlyn Jenner’s new show, which is sure to bring in double the amount of viewers as KUWTK. According to the June 22 edition of In Touch Magazine Lamar Odom was offered $1 Million to return to the Kardashian’s reality TV show, and he turned them down. In Touch’s sources revealed that Lamar refused the contract and said that the “Kardashians ruined his life.” It’s no secret that he blames Khloe’s family for their marriage woes – and believes that they turned her against him. So, he obviously doesn’t want to help them out and return to their show so that they can put his and Khloe’s problems on blast and convince her to sign the divorce papers. Do you blame Lamar for turning down $1 Million contract? Will he and Khloe ever get a divorce, or is there still a chance that they could get back together? Let us know what you think in the comments below!